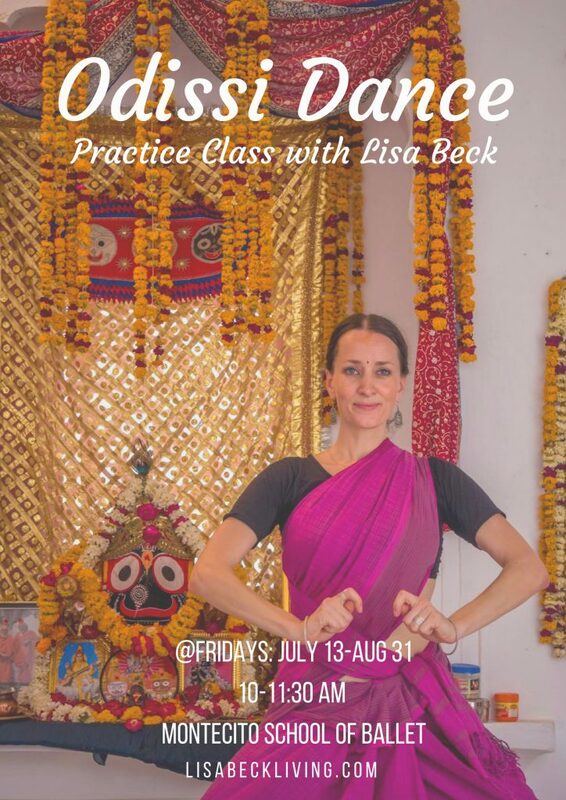 Join Lisa for Classical Odissi Dance Practice, modeled after her teacher Colleena Shakti’s Shakti School of Dance curriculum. Odissi is one of 8 classical dance forms of India, and our particular lineage comes from Padma Vibhushan Guru Kelucharan Mohapatra. Our practice class consists of: conditioning and technique exercises, breath work, light yoga warm-up, strength training and stepping. Qualities needed for this practice: dedication, consistency, inner strength and stamina, a deep desire to train the body and mind in a very technical but devotional art form.